For the past three years, the Raspberry Pi Foundation has released new products around its birthday (28 February). It didn’t this year due to snow and other reasons, but a fortnight later -- on Pi Day -- it’s time for the wraps to come off the latest Raspberry Pi. 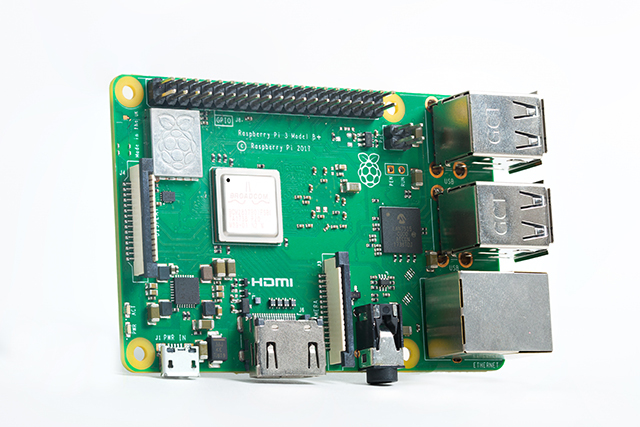 The Raspberry Pi 3 Model B+ (Raspberry Pi 3B+ for short) is the successor to the Raspberry Pi 3 Model B, and improves on that device in a number of ways, while keeping the same low price ($35). The new model is built around the BCM2837B0 64-bit Broadcom processor, an updated version of the chip used in the Raspberry Pi 3 Model B. It incorporates power integrity optimisations, and a heat spreader to deliver higher clock frequencies and run at lower voltages. The Raspberry Pi 3 Model B+ is an additional model, and won’t be replacing any existing ones. It’s on sale now from the usual resellers and via here.